WASHINGTON — The Republican chairmen of two Senate committees have received a statistical breakdown of sexual harassment settlements reached in the upper chamber over recent years but they haven't yet released that information to the public, even though the House of Representatives has already released a decade's worth of such data. The two committees — the Rules Committee and the Appropriations Committee — have been given a statistical breakdown from the Congressional Office of Compliance (OOC) on sexual harassment claims in the Senate since 1997, information that would provide some understanding of how much taxpayer money has been used to settle such claims against senators or their aides. The Appropriations Committee chairman, Sen. Thad Cochran, R-Miss., requested the information from the Office of Compliance, his spokesman Stephen Worley confirmed. Cochran has not shared it with the all of his committee members yet, and Worley said they are trying to get "clarity" from the OOC on the information. 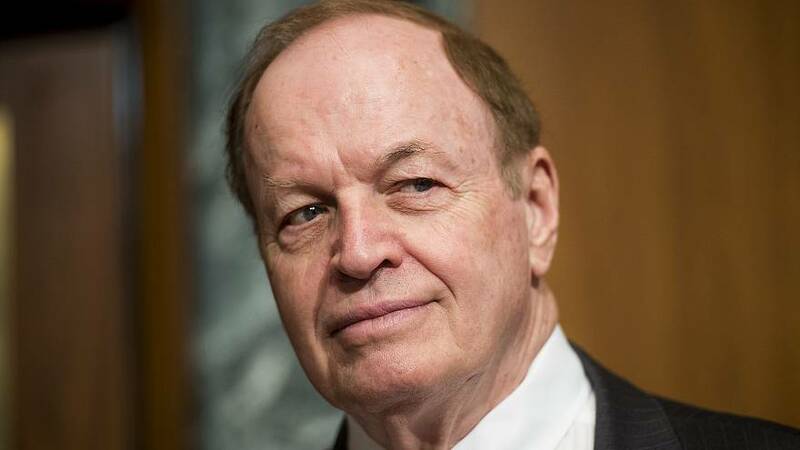 The chairman of the Rules Committee, Sen. Richard Shelby, R-Ala., who also received the data from the Office of Compliance, said through a spokeswoman that he won't release the information as of now, pointing to confidentiality requirements. "The Senate Rules Committee has received a statistical breakdown of settlement amounts involving Senate employing offices from 1997-2017 from the Office of Compliance," the spokeswoman, Blair Bailey Taylor, said in a statement. "At this time, the Chairman is concerned with the reliability of the data provided by the Office of Compliance and the extent to which that data may implicate the various confidentiality requirements of the Congressional Accountability Act." A spokesman to Senate Majority Leader Mitch McConnell, David Popp, said the majority leader continues to work with the appropriate committee chairmen on the issue. Sen. Tim Kaine, D-Va., has also asked for the information from OOC but was denied because he doesn't have any oversight of the office. Kaine, however, is still pushing for the information to be released publicly, a decision that's up to the Senate entities in possession of the data. The House has taken a different approach to information the OOC has provided. The House Administration Committee has so far released a 10-year breakdown of workplace dispute settlements paid out by the U.S. Treasury totaling $199,000. The most recent data, released Tuesday by the committee, showed that of the $342,225 worth of workplace dispute settlements from 2008 to 2012, $115,000 is for three claims of sexual harassment, including one for $85,000 that was for a case involving former Rep. Eric Massa, D-N.Y. Masa resigned from Congress in 2010 because of an Ethics Committee investigation for inappropriate sexual behavior. The oversight process in the House and Senate is different. The House Administration Committee approves each settlement without knowing the name of the accused or the accuser while no specific body overseas the taxpayer payments. In the Senate, the individual who is accused must sign off and has no obligation to report it to any committee. Both the Rules and Appropriations committees are sent all disbursements from the OOC twice a year but the information is not broken down by the number of payments or what type of harassment.